Jillian is now the executive producer on her new series call “Losing it.” This NBC show will air this coming summer. Jillian has also released 2 new books called “Master Your Metabolism Cookbook,” and “The Master Your Metabolism Calorie Counter.” She also hints at a new day time series that will begin in 2011. This was creatively timed to begin when Oprah goes off the air as a way to target audiences who are grasping to fill the void. How She Got Her Killer Role On The Successful TV show.. While working out at the gym people consistently asked if she was a trainer. This happened so much that she decided to become one. Her boyfriend at the time urged her to get a “real job.” She faked a college degree and landed a position at one of the top talent agencies in California. After spending 3 years at that position, she left to create a gym. One of her friends at the agency let her in on a casting call for “The Biggest Loser,” and it’s all history from there! 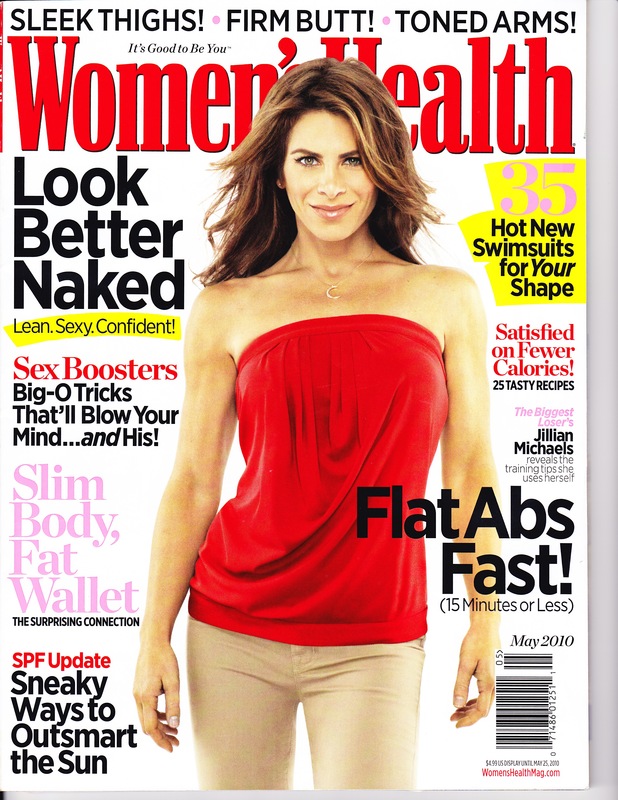 Jillian says “By the time I’m 40, the hope is that I’ll be solidly in daytime television and producing various other experts we’ve brought along the way.” When asked about her personal life she tells W.H. that she is somewhat of an “anti-Hollywood” girl. She loves to stay home and and watch shows while hanging out with friends. She does fit in dates with both men and women and says, “I’ve been in love with both.” She would also love to adopt some day. Both on TV and behind the scenes Jillian has emerged as a person of power and intelligence. She has cornered that market with her DVDs, on TV appearances, books, and products. Her future looks promising and she has changed the face of fitness as we know it. We will all be expecting great things from her in the future and look forward to all the fitness, and life lessons she has to share.